IconDock have kindly donated another premium icon pack from their fantastic collection for Access All Areas members. 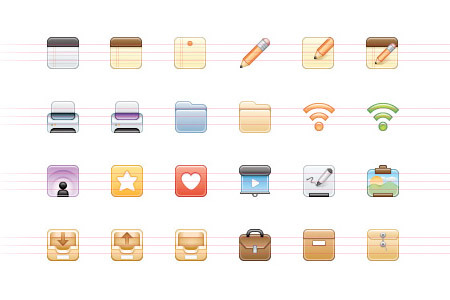 Moi is a set of 268 high quality icons inspired by the iPhone app icons. They are especially designed to match with their free social media icons. IconDock is the place to go for your icon resources. Every pack is hand crafted by Nick La of N.Design Studio and Themify. There’s a range of sets available for all your project needs as well as individual icons being available from as low as $1. The pack contains 204 32x32px web optimized transparent PNG and GIF from the Moi pack, which retails at $60. Not a day goes by I wish I were a member of this blog. Great Set again! Keep em coming! Cool! I was searching for this kind of icons! mainly it depends if it is user friendly. 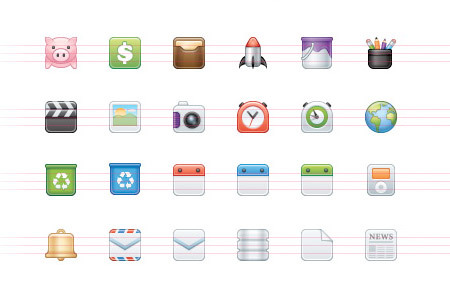 nice icons for to make design more creative. thanks you spoongraphics for sharing with us. A donation of an icon pack inspired by the iPhone app icons is a great gift and I’m sure appreciated by many. This style of icons looks fantastic in web design for links to other pages and gives the webpage the extra edge needed to stand out. The amount of 268 icons also gives the recipient a lot of choice to choose from and apply the most applicable style to their design. The fact the pack has been hand crafted also demolishes any errors of them being low quality. Should there be any reason you don’t find the perfect icon you are searching for, individual icons being available from as low as $1 is a bargain of a price. As a web designer myself I would find these icons a great asset to hold and the quality of choice very useful. 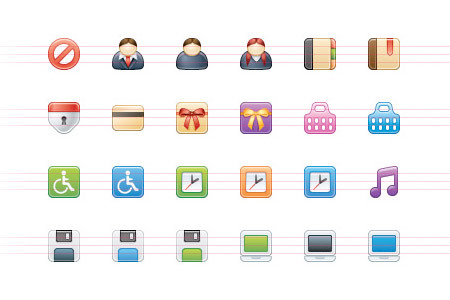 These are some really cool icons. 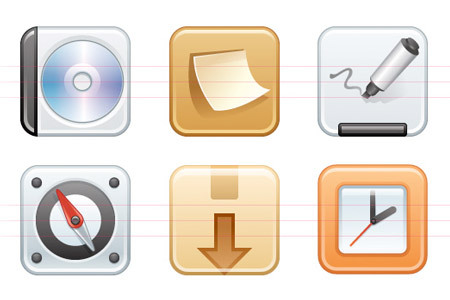 Although I am a PC lover, I must admit that the iphone inter-phase is delicious and these icons are really top notch. Thanks for sharing!